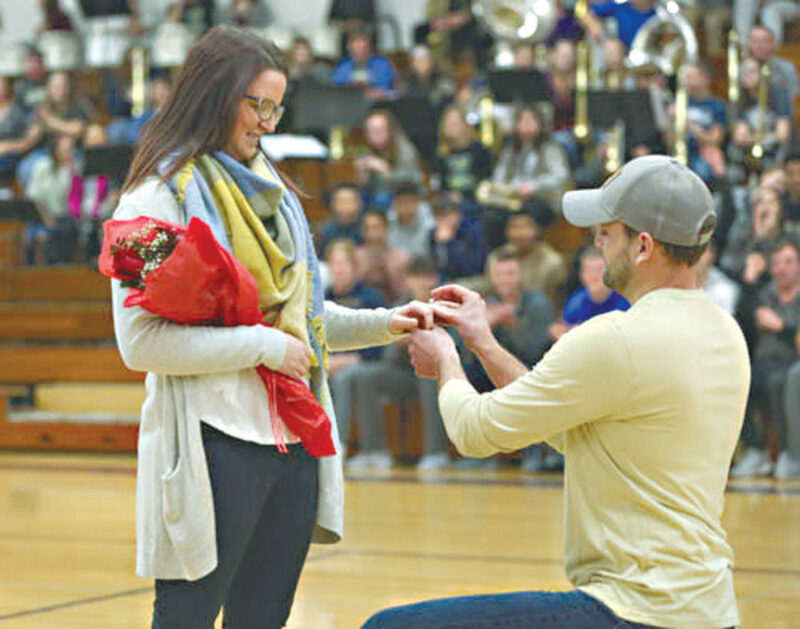 Adam Cok slips an engagement ring on Erica Dickman’s left hand before the varsity girls basketball game Friday night between Columbian and Shelby. Dickman is an assistant coach for the girls team and softball coach at Columbian. Cook was keeping the scorebook.